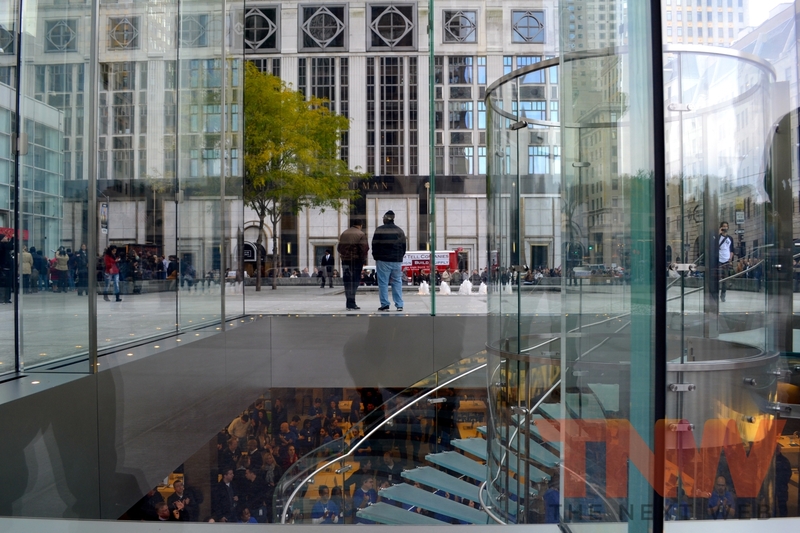 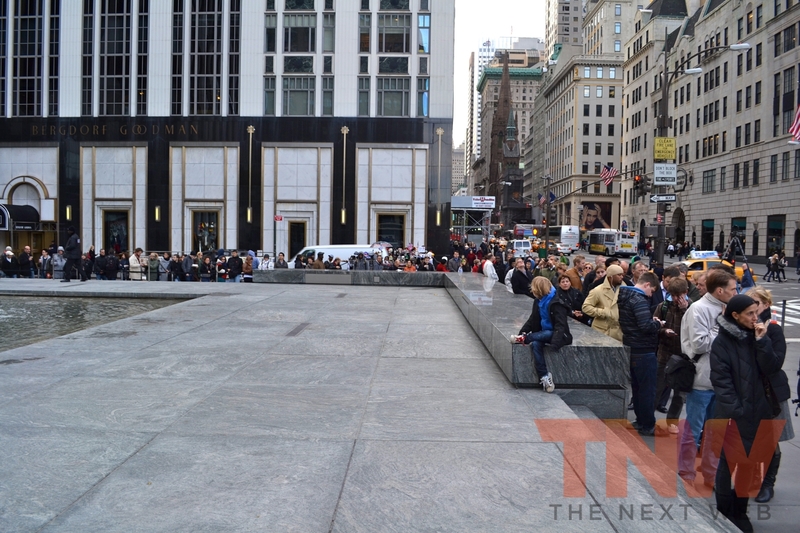 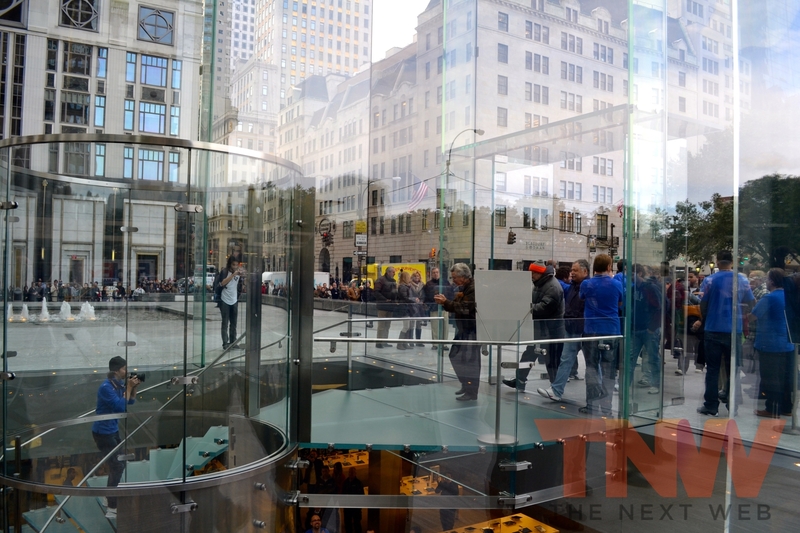 As we reported earlier, Apple was due to open the doors to its revamped 5th Avenue store this morning, displaying the new iconic cube that now has just 15 panes, a reduction from 90. 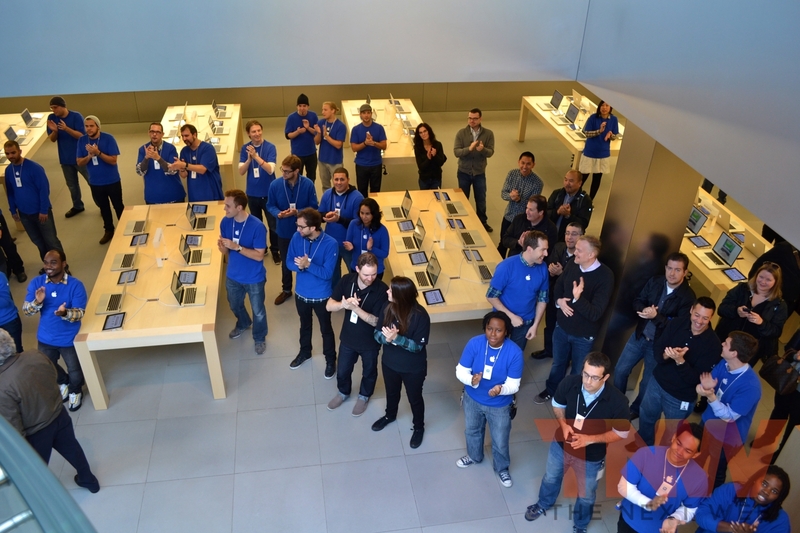 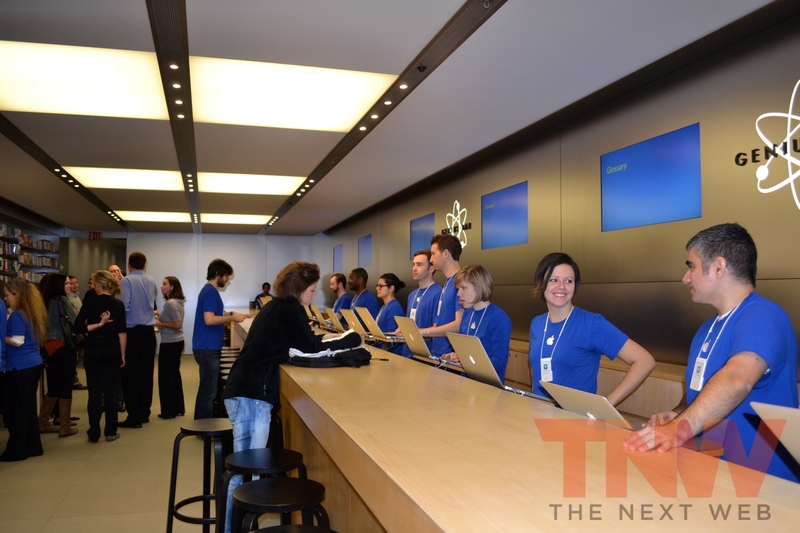 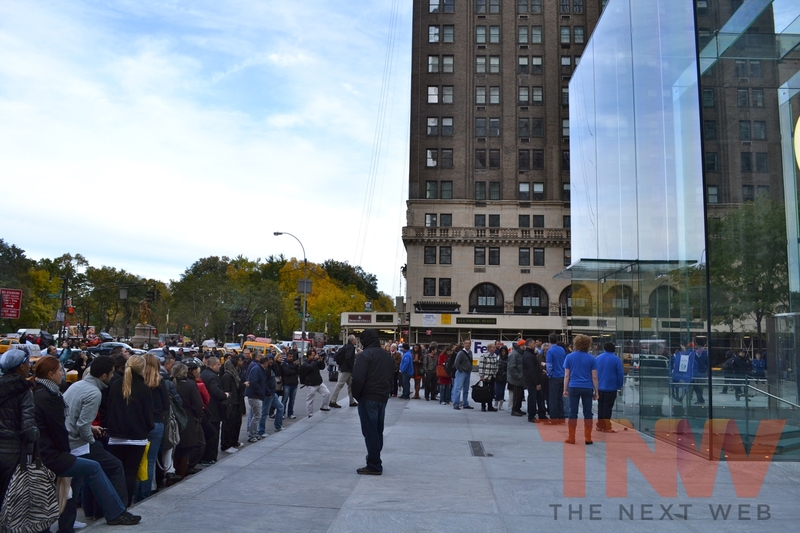 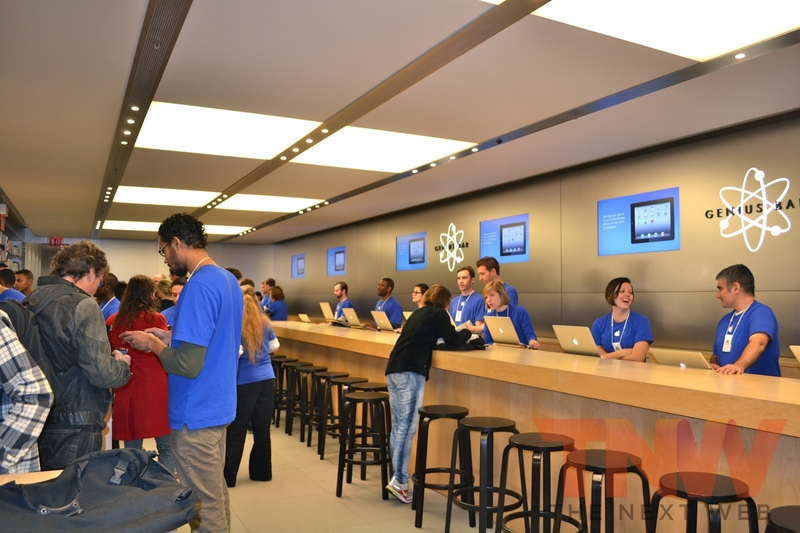 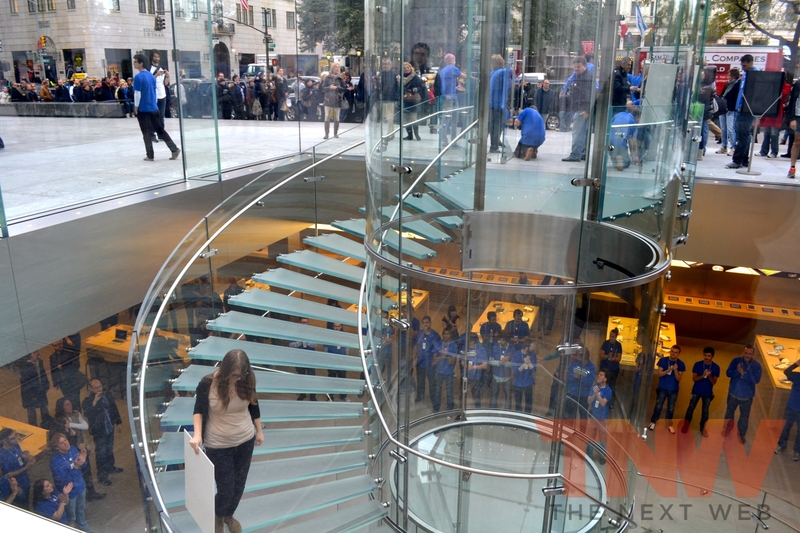 Apple had closed the store to customers – with it normally open 24/7 – so that it could prepare to show off its modifications to the public at 10AM New York time. 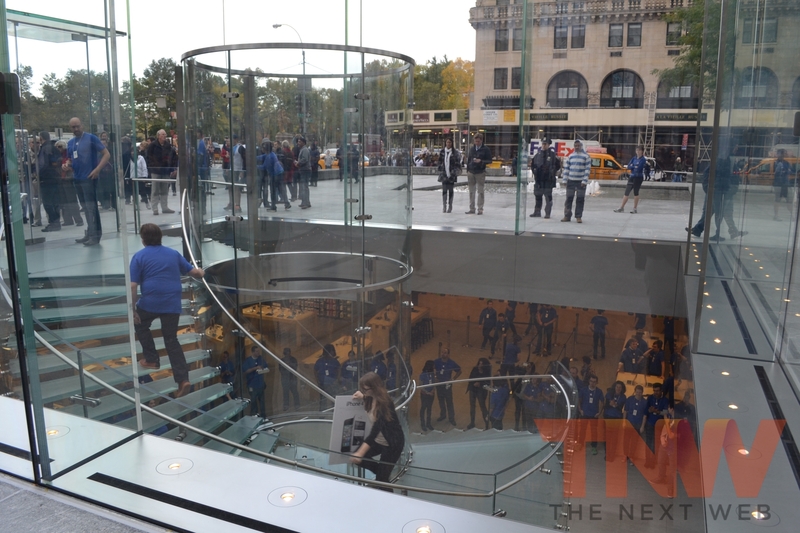 The store’s glass cube had been hidden from public view for the past few months as it has undergone the redesign, but the store has remained open. 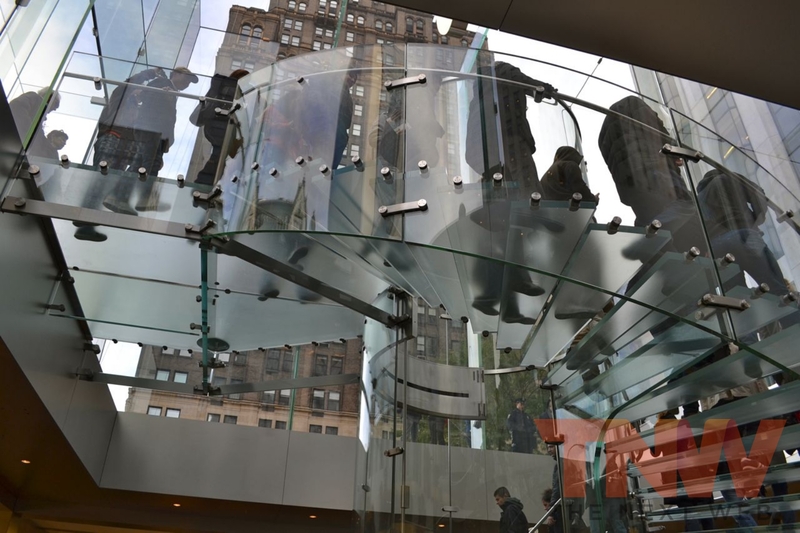 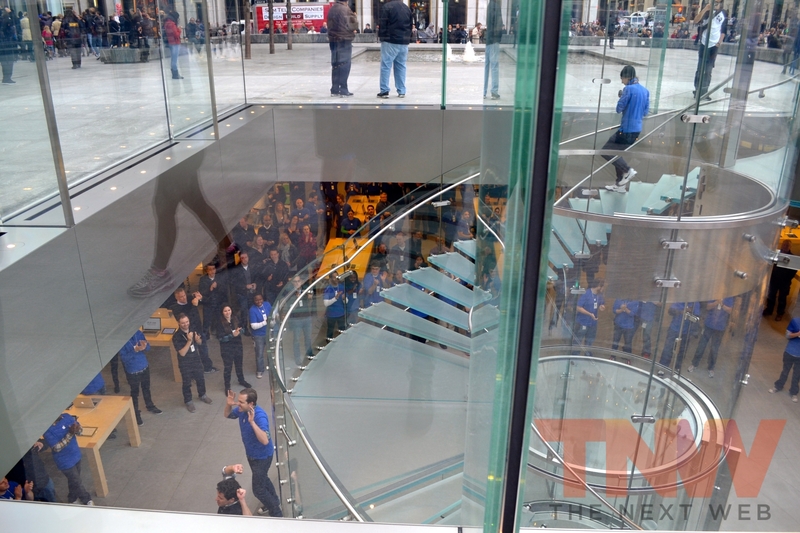 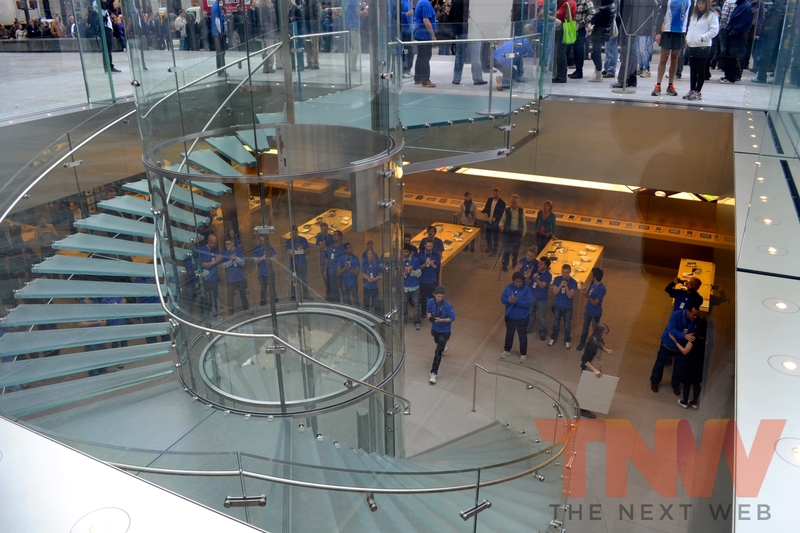 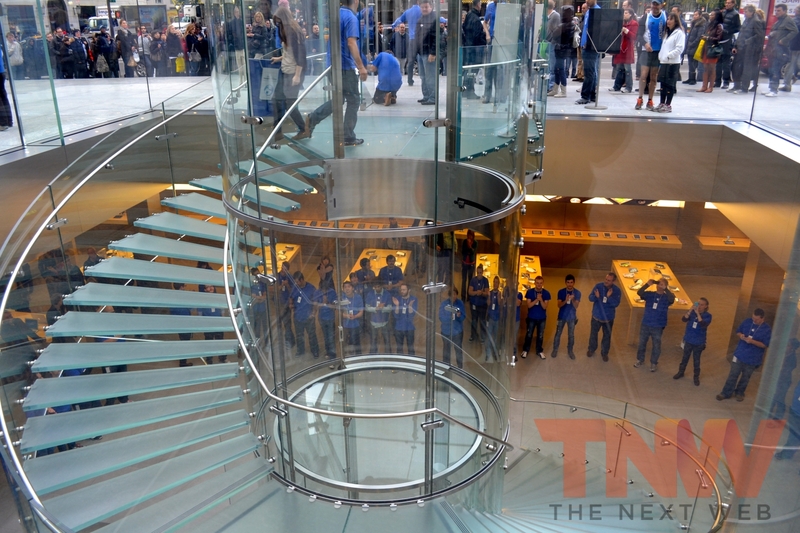 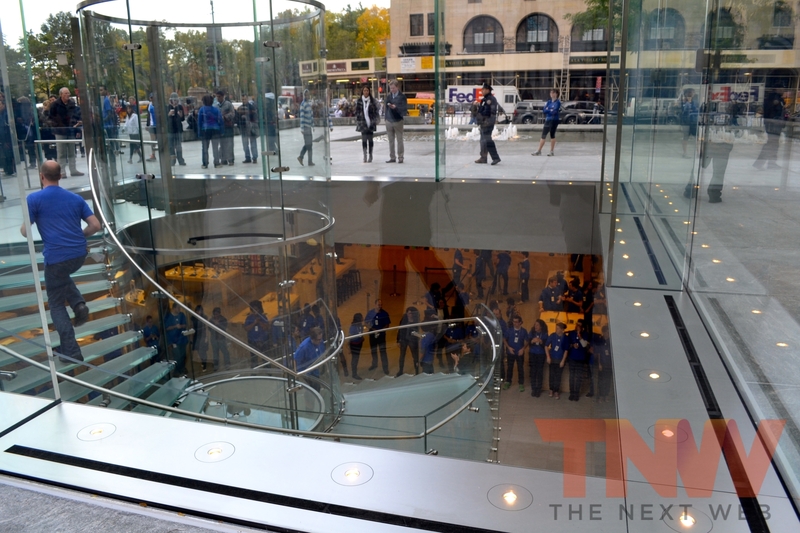 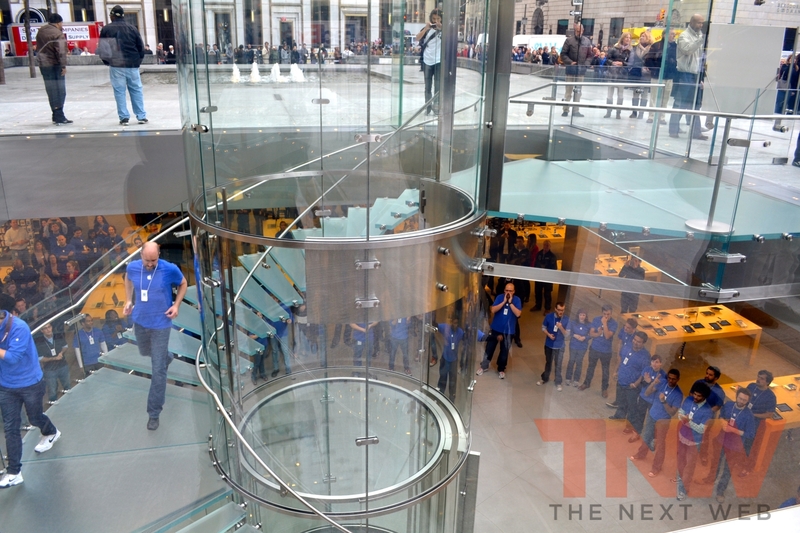 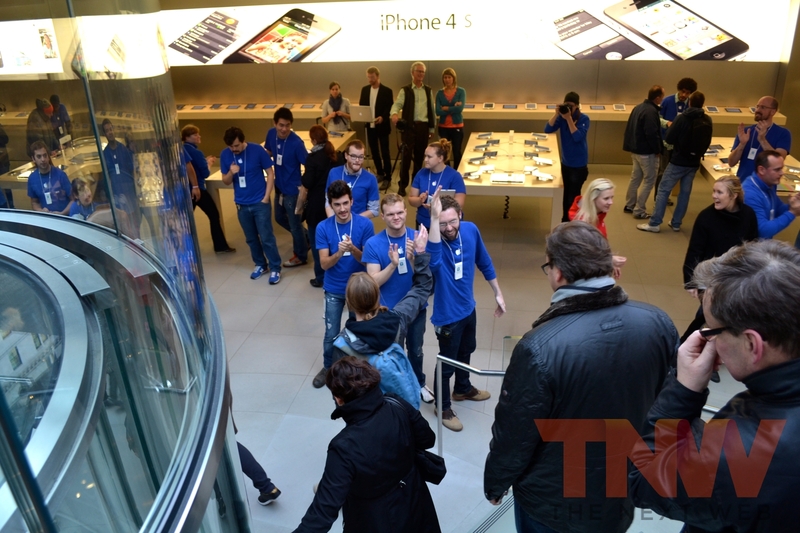 Our very own Courtney Boyd Myers managed to get access to the store before many of the queuing Apple fans outside, snapping some photos of the new cube and the waiting Apple Store staff at the bottom of the spiral staircase. 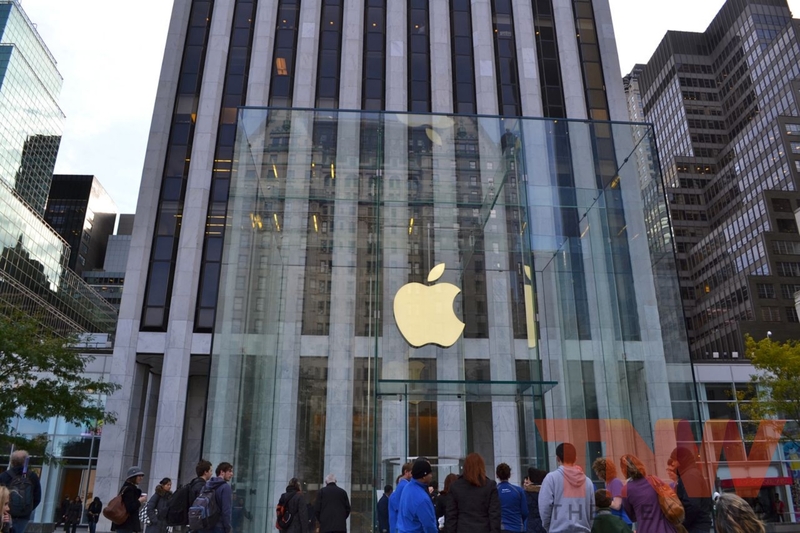 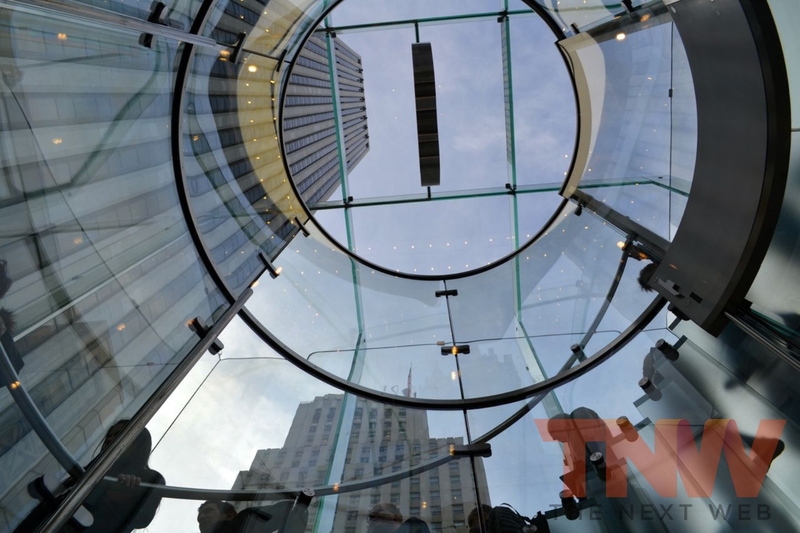 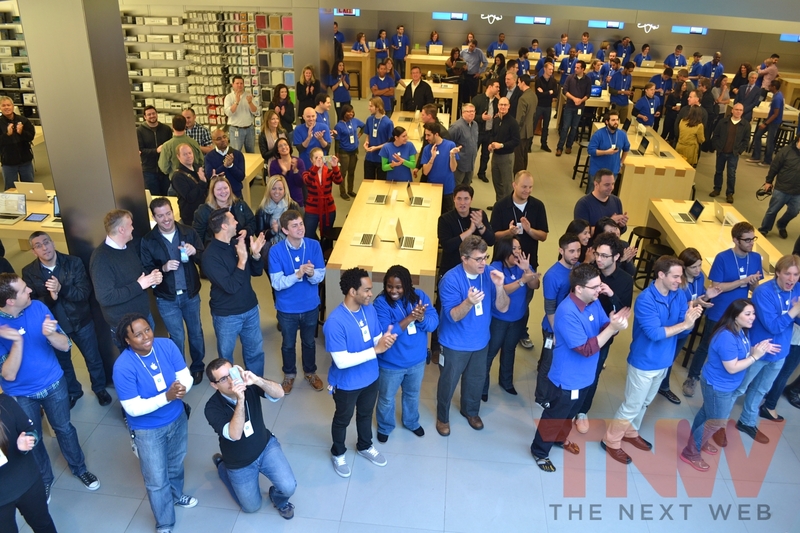 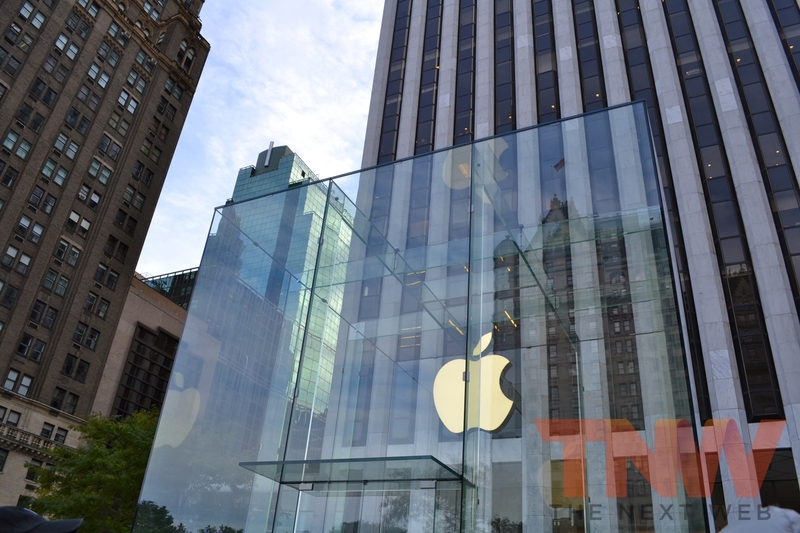 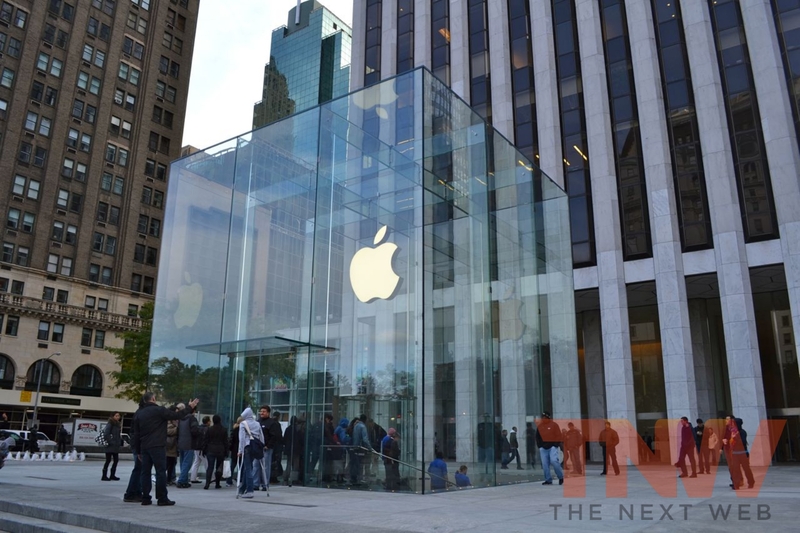 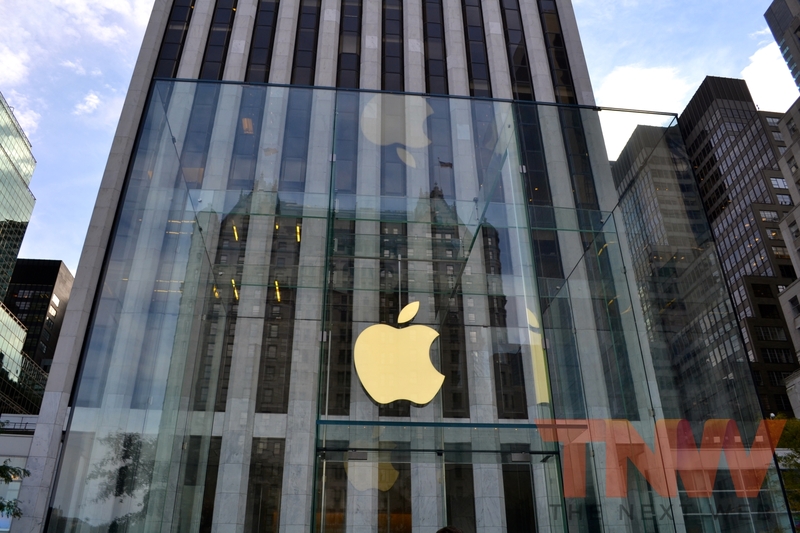 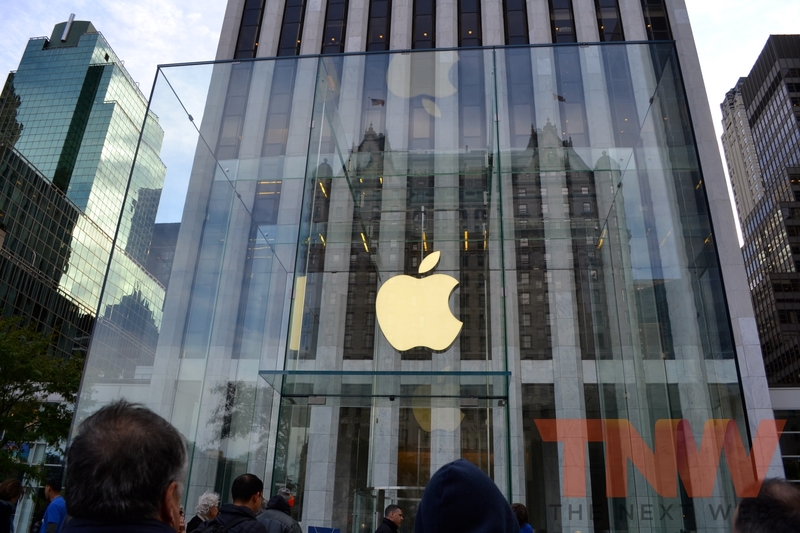 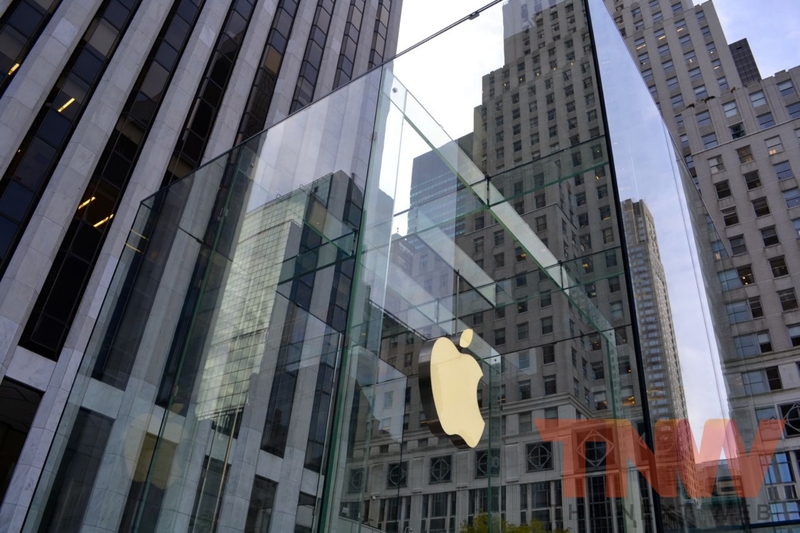 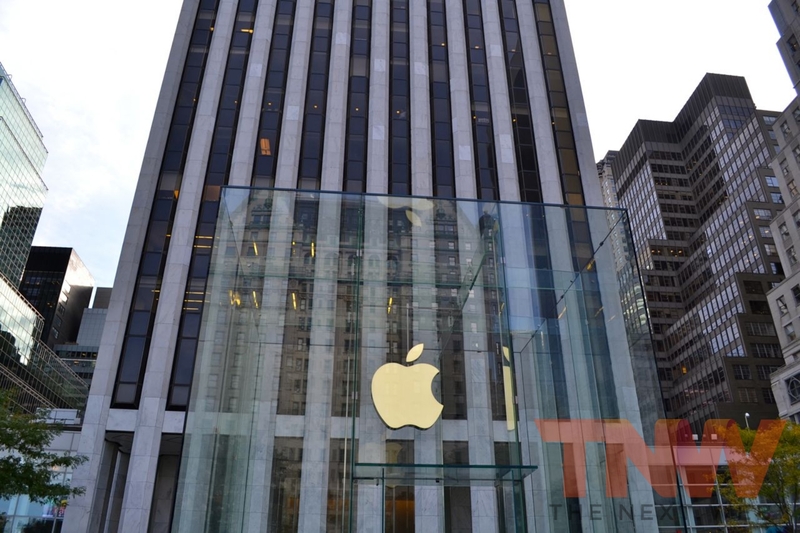 Apple has spent $6.5 million and several months on simplifying the structure of the cube. 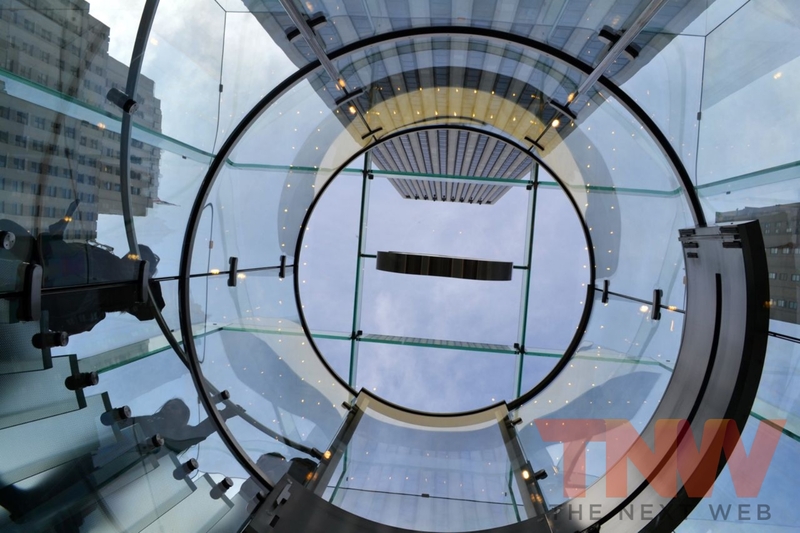 Where previously it used 90 glass panes in its construction, with 18 of them arranged in a grid to form each side of the cube, it now uses just 15, with three long panes bring up each wall.